Make the Best CHOICE for your Franklin Square Long Island pressure washing needs. 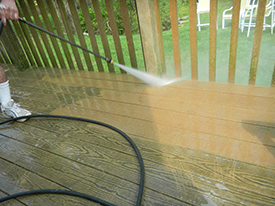 The Franklin Square area's #1 source for quality power washing, pressure cleaning, and exterior property restoration services. We use only the highest quality products and modern professional equipment to ensure you receive the most efficient and longest lasting power washing results. We are extremly well equipped and experienced in home repair to treat and repair all sort of leaks you might be dealing with. We will come to you and give you a FREE QUOTE of what needs to be done at the best possible price, making your home repairs affordable to you, and ensuring peace of mind. Our family owned and operated business uses trained professionals to provide a complete range of power washing, pressure cleaning and exterior restoration services to residential homeowners and commercial businesses throughout the Franklin Square and surrounding areas of Nassau County. For MONEY SAVING coupons for our Franklin Square power washing, gutter cleaning, chimney cleaning, window washing and repairs click below.